Harm Reduction International released a study on the death penalty for drug offences today on the opening day of the 19th session of the UN Commission on Crime Prevention and Criminal Justice, taking place in Vienna. 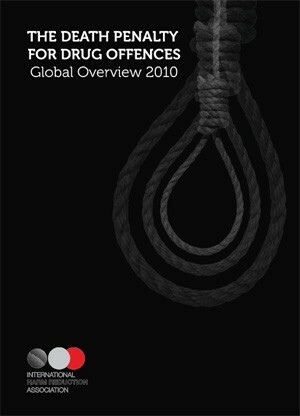 The report, titled ‘The Death Penalty for Drug Offences: Global Overview 2010’, finds that hundreds of people are executed for drug offences each year around the world, a figure that very likely exceeds one thousand when taking into account those countries that keep their death penalty statistics secret. The report is the first detailed country by country overview of the death penalty for drugs, monitoring both national legislation and state practice of enforcement. Of the states worldwide that retain the death penalty, 32 jurisdictions maintain laws that prescribe the death penalty for drug offences. The study also found that in some states, drug offenders make up a significant portion – if not the outright majority – of those sentenced to death and/or executed each year.